Michigan is well known for its fishing opportunities for a large multitude of species, and many of our waters offer great walleye fishing. Perhaps a bit overlooked with so many other species to target, walleye fishing is a great option on many of our waterways. Not limited to just springtime jigging on the Detroit River, northern Michigan has some great walleye fishing almost year-round. 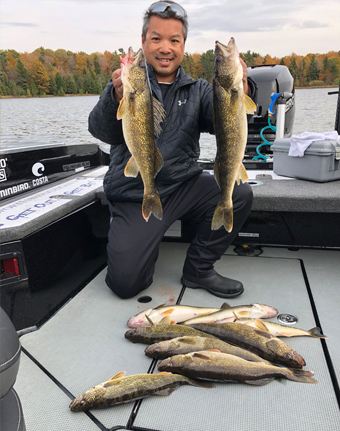 Whether anglers prefer to cast or troll, there are great numbers of walleyes that can be targeted on Michigan's natural inland waters from the season opener in late April throughout the remainder of the year until the annual closure again in mid-March. With such clear waters, many anglers prefer to fish walleyes at dusk and into the night. Trolling crankbaits along breaklines adjacent to shallow flats can be a fantastic option for anglers choosing to fish after dark. And for those that prefer to fish during the daylight hours, there are lots of great options there as well. 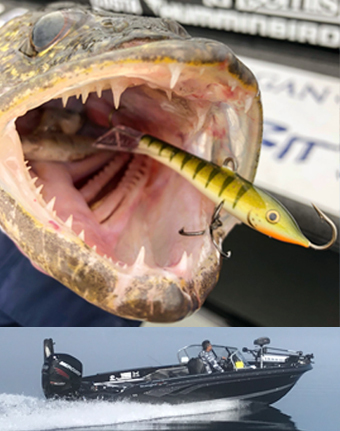 Jigging with a jig and plastic or live bait or something like a Jigging Rapala are both productive techniques to getting walleyes to bite during the daytime for anglers wanting to cast. Trolling bottom-bounce rigs with a crawler harness can be extremely productive for deeper daytime walleyes. With a lot of lakes to choose from, like Lake Leelanau, Portage Lake, Long Lake, Lake Charlevoix, Lake Cadillac, and Boardman Lake to name just a few, Sport Fish Michigan's guides know these waters well and will tailor a trip to put anglers on some great walleye fishing casting or trolling.